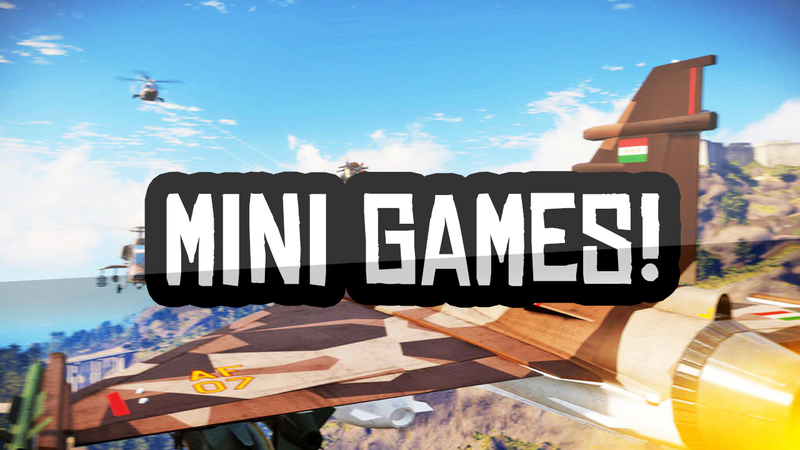 Just Cause 2 had loads of mini games, but to me they all felt more or less the same. We know that Just Cause 3 will not have multiplayer, so this does mean the story or campaign gameplay if you will, needs to be the best it can possibly be. I loved Just Cause 2 i think it was a great game, but with such a huge world and a lack in things to do it didn’t make the game as fun. I really do hope that Just Cause 3 will contain mini games, and if this is the case here are a few things that i would like to see. Firstly, i would like to see triathlon races, quite similar to GTA 5. This in my opinion is really fun, and with us being Rico we can literally switch all of this up in a really fun way. For instance, grappling cars together or planes to the ground etc. Secondly, some sort of mini game where we have a certain amount of time to cause a certain amount of damage. This would be a great mini game as it will always make you want to beat your score. Lastly, i want to be rewarded from the mini games rather than just given money (not all mini games though). I would like to receive unique costumes for example, or guns and vehicles. You can watch the video below to find out a few more ideas i have for mini games.